Badgers are found all over the world. 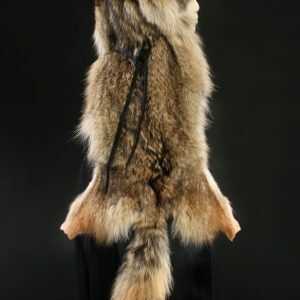 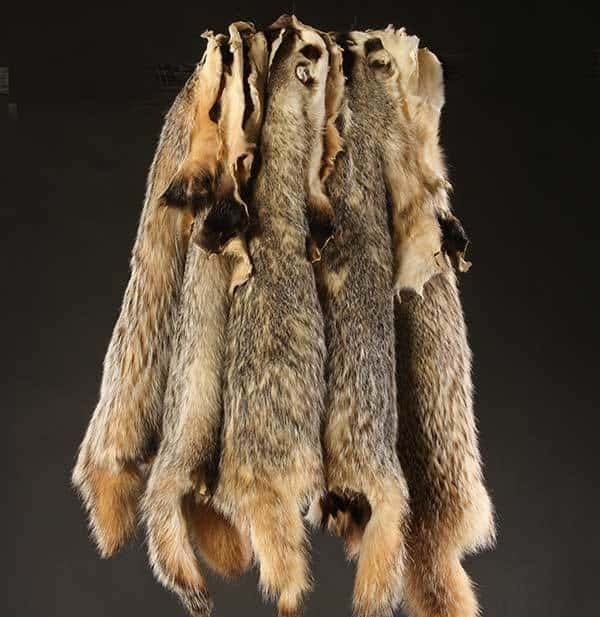 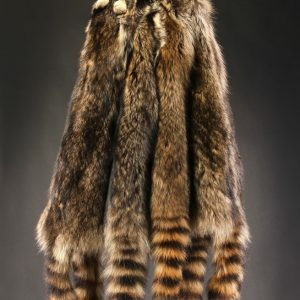 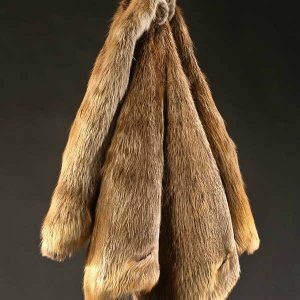 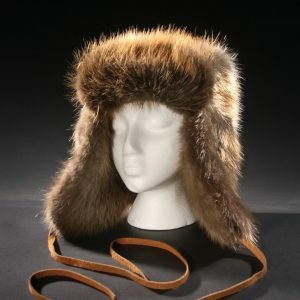 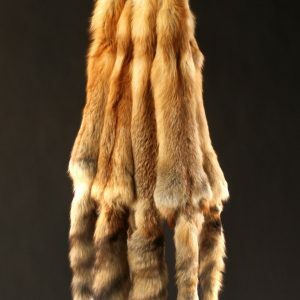 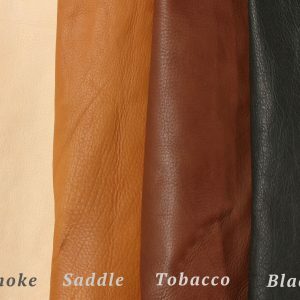 Their fur has long been used for brushes and to adorn clothing. 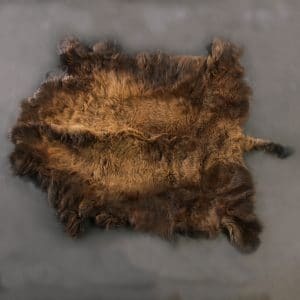 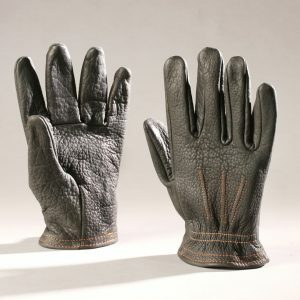 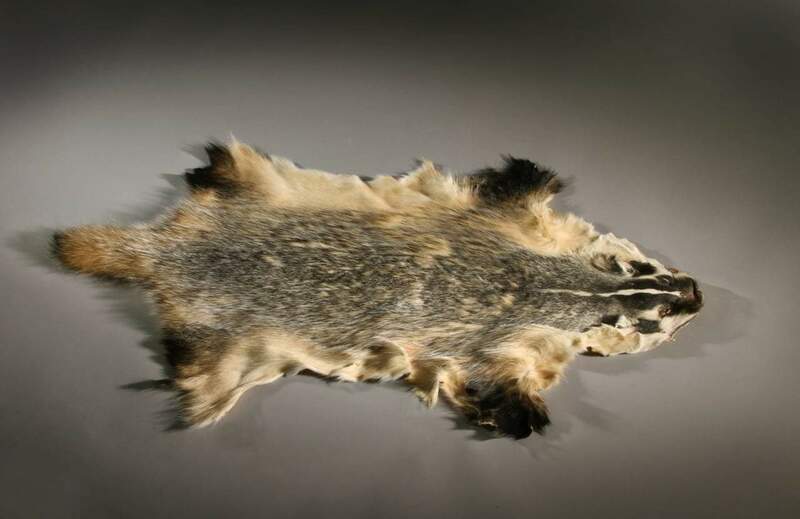 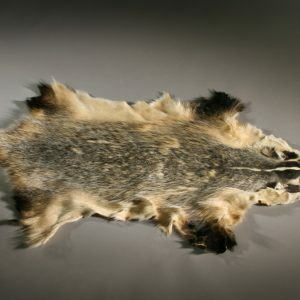 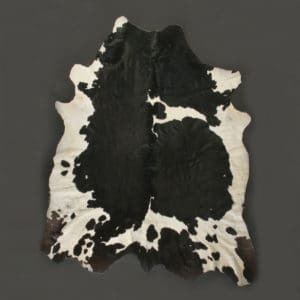 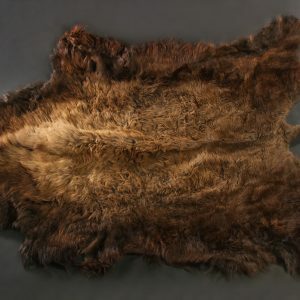 From nose to tail, our Badger hides measure 30 by 14 inches. 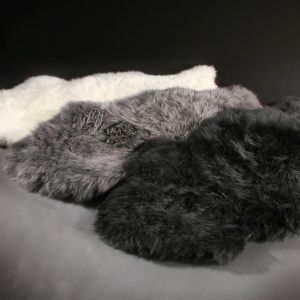 Their long fur (3 in.) 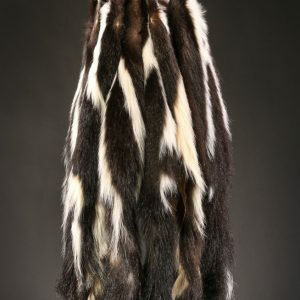 is silver tipped with shades of greys and browns and includes the distinctive black and white stripes of the included heads.